This event was hosted by BU’s Dr Heather Hartwell, who introduced the European research project VeggiEAT and looked at the reasons why people’s liking for vegetables varies so much. Students from local schools tasted different types of sweet corn, and recorded how much they did (or did not) like the different varieties. They then tested a second batch, this time grouping the sweet corn as they wished, and detailing why this constituted a group in their view. A final test determined who was a ‘super taster’ and who was not, based on the ability to taste the bitterness on a test paper. 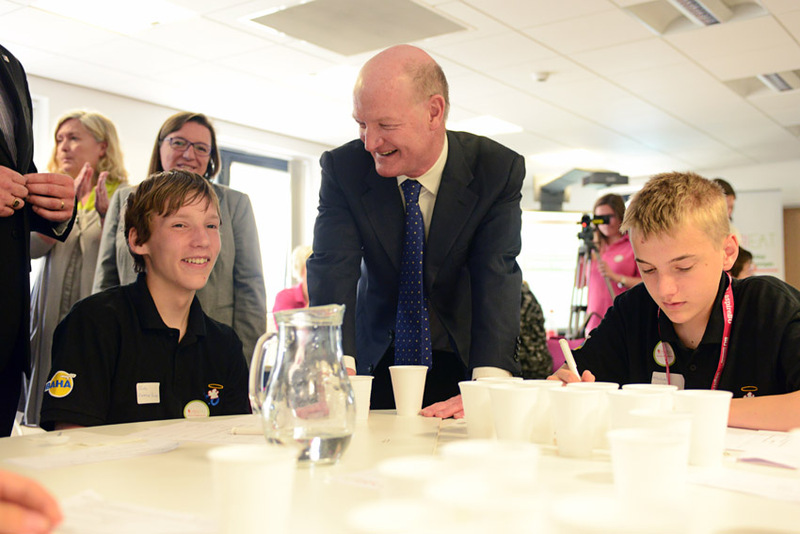 Minister for Universities and Science, the Rt Hon David Willets MP, joined the taste testing (pictured). 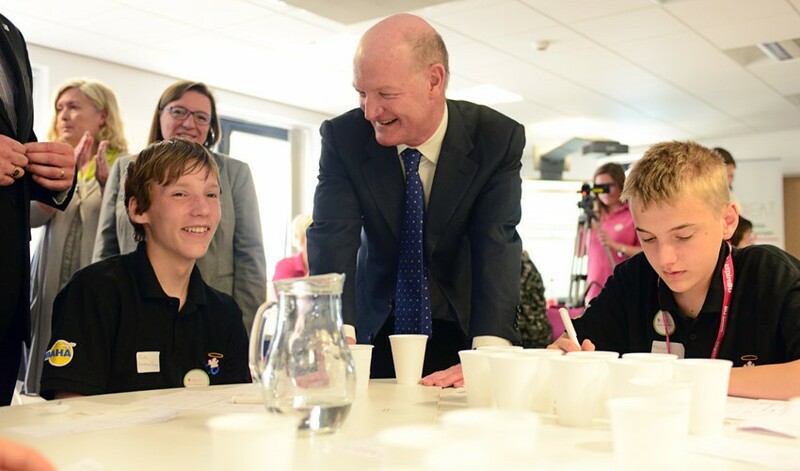 More information on Mr Wiletts MP’s visit to BU and his speech can be read online here. Apparently I am a super taster, which explains my absolute dislike of certain foods such as coffee! VeggiEAT event attendee Jennifer Roddis.